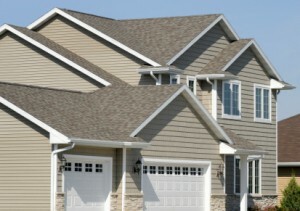 Is your garage door in your Conover, NC, home unsightly, undependable, hazardous to use, and just plain worn out? If so, you should contact the home improvement professionals at 31-W Insulation. We offer homeowners an outstanding selection of garage doors from some of the industry’s finest manufacturers, including Wayne Dalton®, Windsor Door, and Amarr®. With numerous design options, safety features, and an uncompromising commitment to quality, you can be sure that your new garage door will function well and look beautiful for years to come. Style – You will want to make sure that your new door complements the existing design aesthetic of your home. 31-W offers garage doors in a wide variety of designs, from modern to traditional, available in a variety of materials from practical multi-layer steel to luxurious real wood. Energy efficiency – We offer insulated doors with thermal seals and insulation that can enhance the energy efficiency of your home and help keep your garage at comfortable temperatures. Customizable – Our doors are available in numerous color options with customizable hardware accessories and decorative windows, so your garage door will reflect your personal taste. Additionally, many of our doors feature pinch-resistant designs that eliminate injuries from fingers getting caught in door panel joints, as well as smooth, quiet operation. Our doors are also backed by impressive warranties, so you can be sure that your new garage door will be protected for years to come. For more information about garage door options that we offer homeowners in Conover, North Carolina, contact 31-W Insulation today.